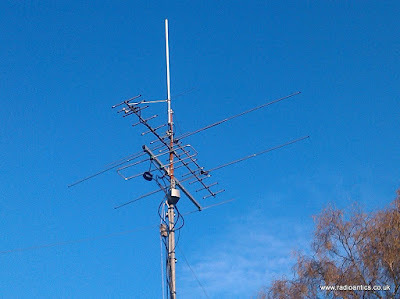 In April I installed a second-hand HB9CV for 6m, primarily for use in the UKAC VHF contests but I hoped to use it during the upcoming sporadic ‘E’ season. Still a relative newcomer to the hobby (only licensed at end of 2013) I had little experience of the 50MHz/6m band and have been mostly met with static whenever I did turn the dial to have a listen but happily that has changed in the last few weeks. One interesting form of propagation is sporadic E, or popularly referred to as Es. Small clouds of unusually ionised atmospheric gas form in the lower E-layer of the ionosphere (located at altitudes of 90 to 160 km). These clouds ‘bounce’ the radio waves allowing long-distance communication at VHF frequencies, sometimes multiple hops are possible giving extreme DX. One advantage of sporadic E over other forms of propagation is that it allows low-power QRP communication. As its name suggests, sporadic E is not a normal occurrence but can happen at almost any time. It does display a seasonal pattern with activity peaking in the summertime most noticeable in mid-to-late June. 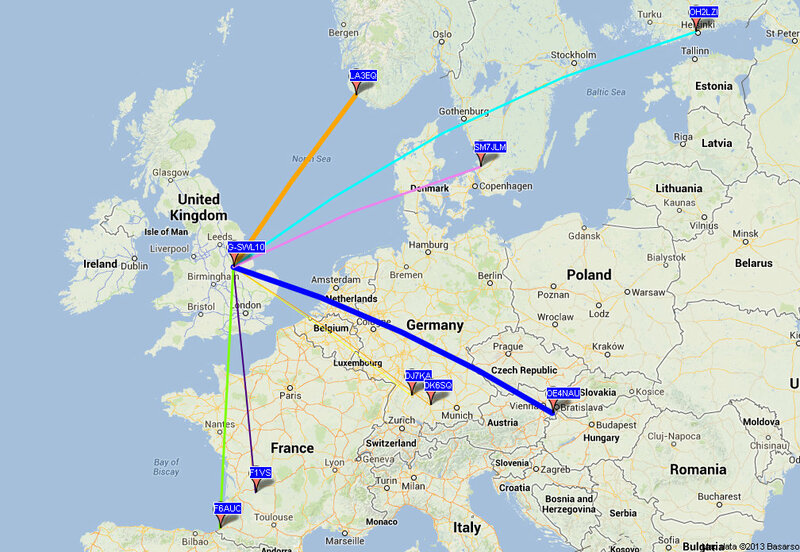 I had turned the antenna to the East and have been running WSPR on and off over the last month on 6m with no luck, just the odd spot from the UK. I was in the shack one Saturday evening and was tuning around on 6m and heard some Italian stations calling CQ on SSB. I tried my luck and answered (using 50W) and was amazed to be heard, working a couple of stations in quick succession then suddenly the opening closed mid contact with another station. I was hooked! 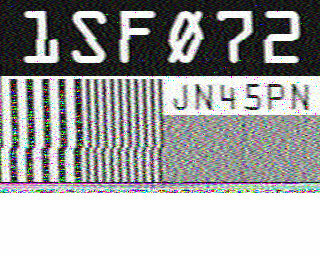 Over the past few weeks I have caught a few more openings and have managed to work (in no particular order) Latvia, Croatia, Lithuania, Slovenia, Czech Republic, Slovakia, Serbia, Italy, Germany, Switzerland, Poland, France, Spain, Austria, Canary Islands and Finland – using a combination of voice on SSB and the JT65 digital mode. Using JT65 has been particularly interesting since it allows me to ‘remote operate’ from work otherwise I would miss most of the ‘Es’. Being able to monitor the waterfall and see the signals gaining and falling in strength during the minute long transmission is particularly fascinating. 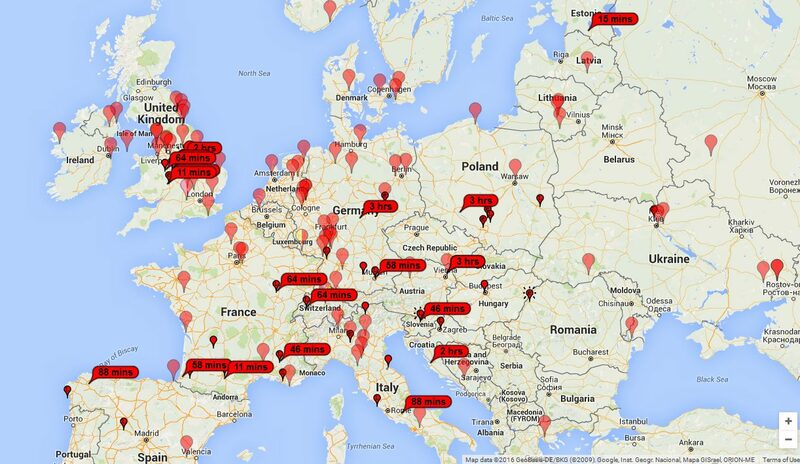 Using the PSKReporter website I can see the location of all the stations I could hear and was being heard by. 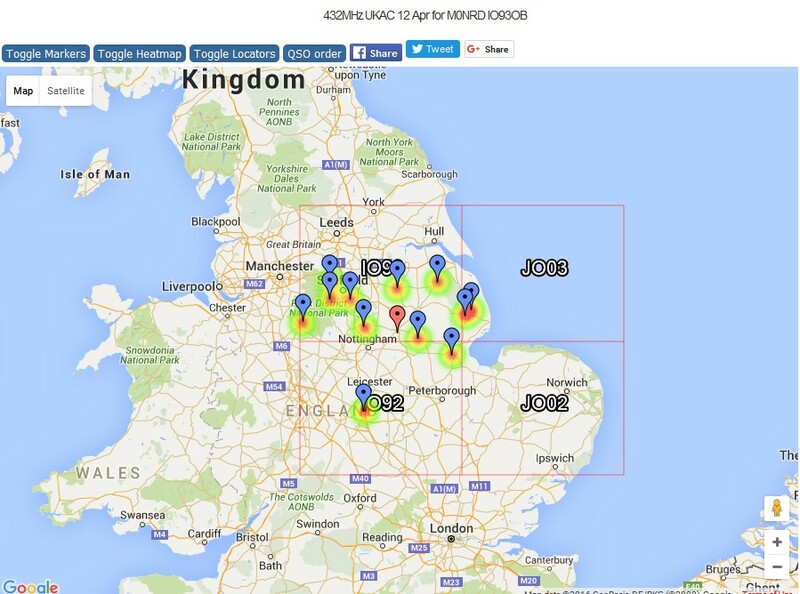 This map shows activity over the couple of hours on the 26 May using just JT65. I have joined the UK Six Meter Group (UKSMG) to find out more about this “magic band” and their website is full of lots of information and resources along with the magazine Six News for subscribers. Radio frequency interference (RFI) is the bane of a lot of amateur radio operators. Sadly it is becoming a real issue at my QTH. RFI is referred to as QRM or QRN and I am learning the difference. 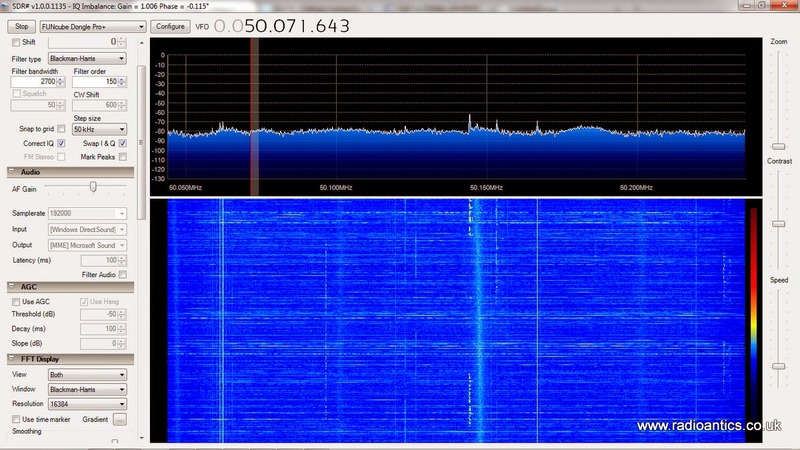 QRM means “I being interfered with” and is interference coming from someone using radio equipment. This covers deliberate jamming, people tuning up or just normal operations on a crowded band that causes QRM. QRN means “I am troubled by static” and technically means interference from a natural noises but has come to refer to interference coming from anything that is not an intentional radio emission and interferes with reception of transmissions. So now covers atmospheric noise, static or the noise generated by electronic devices. Noise isn’t a new issue here as I have posted before. It has tended to be sporadic and bearable but since becoming licensed I have become more sensitised to it. 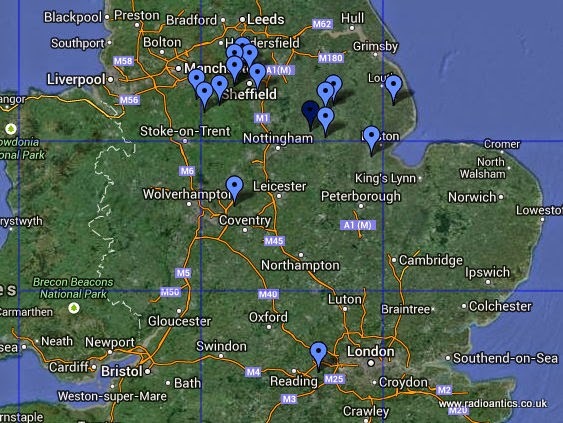 Until now I have tended to focus on the VHF/UHF side mainly contesting venturing only briefly onto HF. My HF set up is limited at the moment with just a single antenna which isn’t optimal for the lower bands. Due to the day job I am largely restricted to evening/night time operation when the upper bands have largely been closed anyway so haven’t really attacked HF with much enthusiasm apart from data modes such as JT65 and WSPR which have immunity to noise. When I have got the chance for some early morning daytime operation or at the weekend I have struggled with noise. Recent weekends have seen some special event stations operating for the Museums On The Air and the GB1JSS Summer Solstice which have been predominately on the 40M band but I just cannot hear anything on that band due to noise. I am aware the Sun has been particular active recently producing a number of large flares and CMEs that have caused a number of radio blackouts, but this noise isn’t due to atmospherics I am certain it is man made by one of neighbours. 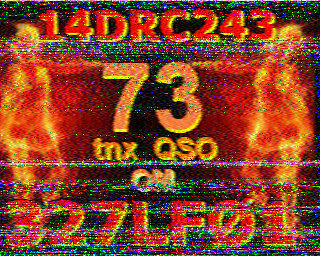 This weekend was the 50MHz Trophy Contest which I was looking forward to, sadly it was also to become a victim of the QRN as this screenshot from my SDR will confirm, for much of the time I was operating I was just listening to noise. 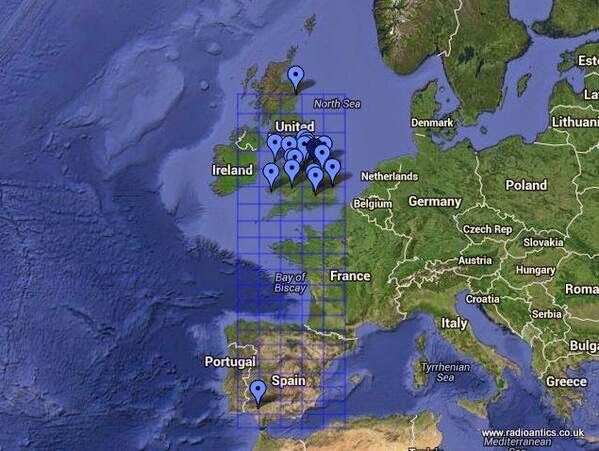 I wasn’t operating constantly, just grabbing a few minutes here and there and I did manage to make some decent contacts when the QRN subsided even catching some of the sporadic E opening to get EF7X in Spain. I have ruled out any noise being generated by myself by powering everything off and running on battery. This leaves me in a bit of a quandary I could go around and locate and confront the culprit or even contact OFCOM but at the same time I don’t want to antagonise anyone who could then object to any antennas I might want to put up in the garden. Rotating the 6M Moxon around at the weekend during the contest as at least pointed me in the direction of one strong noise source. I am also convince that much of my problem is due to an evil PLT device in an adjacent property. 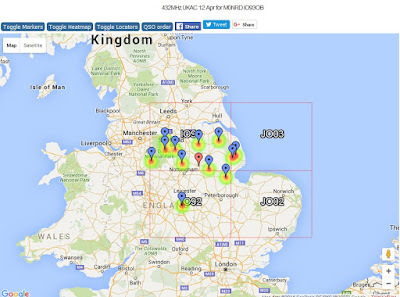 Following on from the weekend last night was the UKAC 50MHz contest and yet again I was troubled with noise leading to mostly local contacts. I have been looking at some of the noise cancellers that are available from MFJ and others. I have heard conflicting options on their effectiveness but I am willing to try one if I can obtain one cheaply, or even home-brew one from the numerous designs available. These devices work by using a second antenna which receives just the noise which is then mixed out of phase with the main antenna signal hence nullifying the noise. By all accounts they are tricky to use and often need constant adjustment but may be my only viable solution at present. 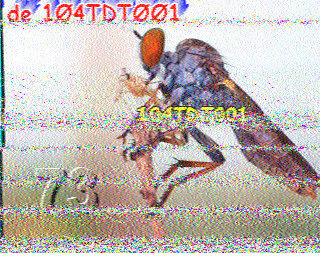 I am a complete novice at using HF, in fact I am a complete novice at transmitting anything! My Chinese Baofeng handhelds have pretty much collected dust since getting my licence. However with the purchase of the FT-857D I must, despite my trepidation, step up to the microphone. I had hit a snag when testing out the new radio, my antenna was showing high VSWR on 6m, even with the ATU I was struggling to get it to 2:1, therefore I decided to construct a simple dipole and sling it up with an ugly choke ‘balun’ I had constructed. Due to some unexpected delays I was running out of time but eventually did manage to get something up, it was only around 2 meters off the ground and the VSWR still wasn’t ideal, but I was ready. At the appointed time, well nearly an hour late I started turning the dial and was met with a load of static, wasn’t hearing anything! 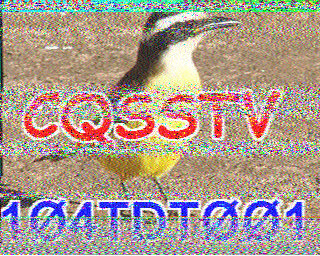 This continued for a quite a time then suddenly I started hearing “CQ Contest CQ Contest” I listened in for a while to try to get the gist of the exchanges, wandering up and down the band. Then I decided to have a go at a QSO, giving my callsign out, I waited nothing! 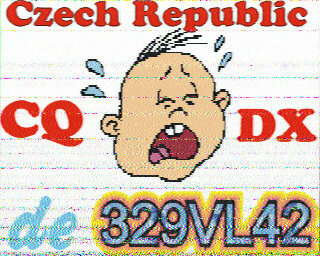 “QRZ CQ Contest CQ Contest” another go.. still nothing.. and so on..
Changed frequency to another stations, tried again and I was heard, but they couldn’t make out my call sign despite several attempts.. another change of frequency and the same results. Now I know I had only got it set a 5W, the lowest I can till I get some confidence in my set up and am not going to damage anything! 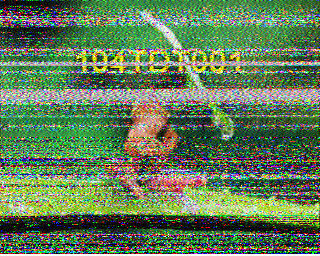 But I was a little disappointed, but I persevered until suddenly I was in the middle of my first contest QSO and my brain turned to jelly.. Checking this morning and there I am at the bottom of the list, but not the very bottom, with a whopping 48 points. 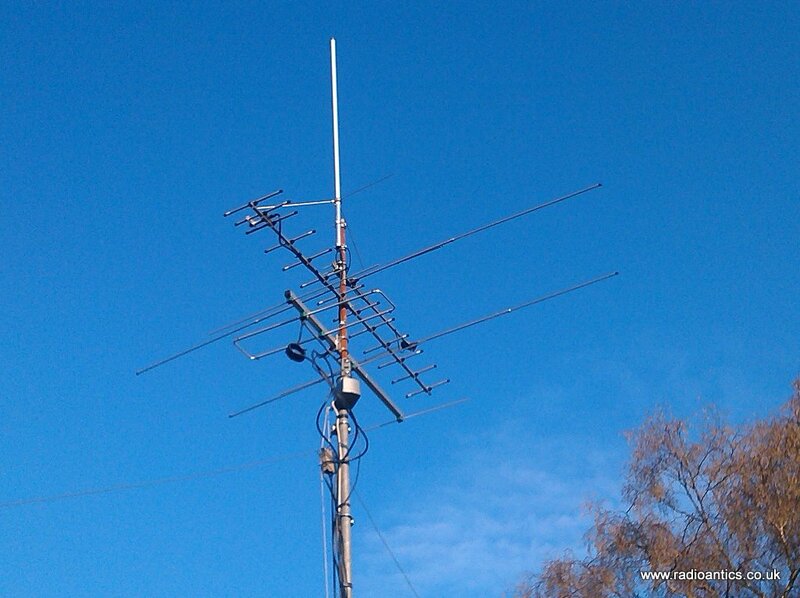 Roll on next week, it is the 144MHz UKAC and I have a proper 2m YAGI… just got to work out how to mount it up on the poll and how to rotate it..
Over the last few days there has been a lot of activity on some of the normally quiet amateur and ‘CB’ bands due to some Sporadic-E propagation yesterday the 50MHz (6 metre band) was a mass of SSB signals as operators chased some DX contacts. 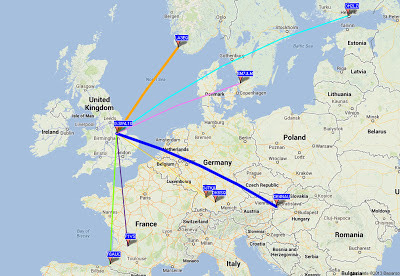 I set up a WSPR receiver using my FUNCube Dongle and got a few contacts on 6 meters over a couple of hours. 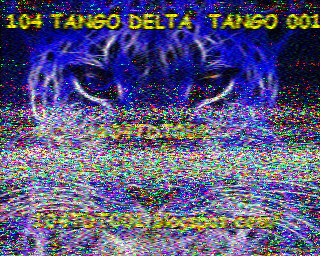 The 27 MHz (11 metre band) was also very active, while I know it can be an active band I normally don’t receive much here due to location but last night I was getting lots of SSB transmissions by the ‘DX Freebanders‘ and I even caught a couple of SSTV transmissions. 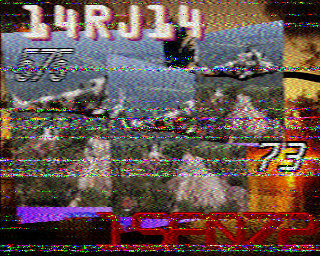 I didn’t get many clear pictures not because the signals or audio was weak but mainly because one transmission would be broadcast over another before it had finished, causing noise, or worse stopping the decode and getting a truncated image..
Tonight conditions were similar but instead of the FUNCube Dongle+ I tried the RTL-SDR dongle with the R820T tuner chip which can tune down to the 27MHz frequencies and I managed to get some decent if again noisy and sometimes truncated images. 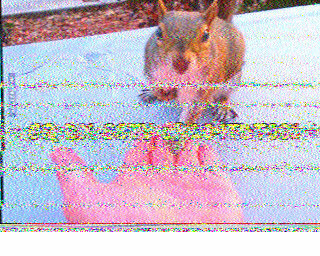 I used the SDRSharp/SDR# program and the free MMSSTV decoder, here are some more of posts concerning SSTV. I made a quick video showing the decode process.